Here are the highlights from this week from our Twitter account @WeberPackaging. Ever wonder how many calories are in your glass of wine? Well the National Consumers League believes this information needs to be labeled on alcohol beverage packaging. At the end of May, the Alcohol and Tobacco Tax and Trade Bureau announced that alcoholic beverage manufacturers can voluntarily label nutrition information on their packaging. Are there any other consumable products that you think should require more nutritional information? Do you remember the Andy Warhol inspired Campbell Soup labels from last summer? They're back! This time Perrier is releasing a special collection of Andy Warhol design labels for their 150th anniversary. The designs were created by Andy Warhol for Perrier in the 1980s for a print ad campaign. Will you collect them all? Follow our Tweets at @WeberPackaging for news in labels, packaging, manufacturing. Here are a few recent Tweets about labels. This article presents information to consider when selecting adhesives for your labels. Choosing the right adhesives is important because labels are used in every industry. Label adhesives meant for the medical industry might not be correct for your food label. And only certain adhesives work in cold, wet or refrigerated conditions. We'll help you select the best label material and adhesive based on your application. 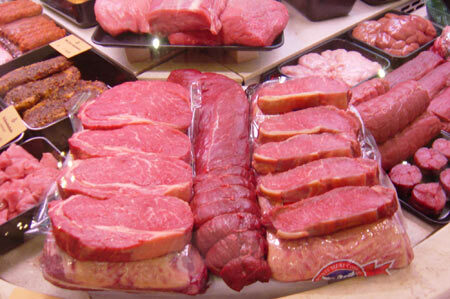 Label changes are coming for the American meat industry! Soon you will see new names to describe the cuts of meat at the grocery store. The original Uniform Retail Meat Identification Standards that are currently being used to identify the different cuts of meat were meant for butchers and not every-day customers. After nearly two years of consumer research, the National Pork Board, the Beef Checkoff Program and federal agriculture officials have agreed on an updated labeling system that should hit stores just in time for prime grilling season. More than 350 cuts of pork and beef will carry new labels that will include new names, characteristics of the meat and cooking guidelines. The new labels will eliminate confusion for the consumer and should increase sales. Happy almost St. Patrick's Day everyone! Hope you have a wonderful weekend. Here are some of the top stories from this past week that we tweeted at @WeberPackaging. The Anaheim Convention Center hosted the annual Natural Products Expo West last week. This is the leading trade show for the organic, natural and healthy products industry. We've been following the updates from the show to see what the new trends in natural are and, of course, what packaging is being used. Visit this gallery for images of the top supplement trends from the show! Where is the Best Place in the South to Learn about Labeling? SouthPack! We're just a few days away from our next regional packaging show! Our trade show team is headed to Orlando for SouthPack from March 6-7th at the Orange County Convention Center. We're back from a great trade show in Anaheim, CA! For our Top Tweets blog we decided to share some of the biggest food and beverage labeling news stories of the week. Remember to follow all our tweets at @WeberPackaging. 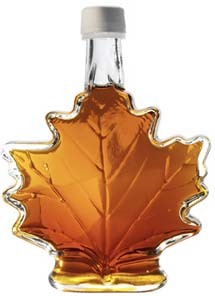 A new labeling initiative is being supported by Canadian and US maple manufacturers. Currently each brand describes different types of syrups with their own terminology. This can be confusing to the consumer and hurts the maple syrup industry when exporting the products overseas. Monday we'll be headed to sunny California for the 2013 WestPack trade show. We're excited to meet with our West Coast friends and partners and introduce our new labeling system. This week MeadWestvaco released a consumer satisfaction study called Packaging Matters. Some of the most notable findings were that satisfaction decreases when the consumer uses the package at home, especially to-go containers. Read more findings from this study at Packaging Digest. Energy drinks do not fall in the same category as other beverages for labeling regulation. Because of this, the labels are not required to include caffeine amount and health warnings. Do you think energy drinks should be required to share more information on their labels? This infographic presents the facts behind the Pinterest user. Because users interact the most with the food category, we recommend our food industry friends get involved and share their products. Pinterest is a great place to share your brand images and give tips on recipes for your product. We love sharing the wonderful packaging and label examples in the food industry on our boards. Get started today! We'd love to add your packaging to one of our Pinterest boards.